We Buy Houses in West Palm Beach, Florida! Call (855) 741-4848 Today For Your CASH Offer! Selling a house in West Palm Beach may or may not be an easy exercise. If you own an awesome house in an amazing location, then you may have enough buyers expressing genuine interest. The asking price will play a vital role in selling such a property. If your house is not in a prized location and has some shortcomings then you will struggle to sell it. Even hiring the most experienced realtor in the city or all of South Florida will not be able to help you expedite the sale. You will still have to spend a small fortune to make your property more desirable for the buyers. Dependable Homebuyers is a real estate investment company with a growing presence in Florida. We are direct buyers. You do not need to hire a realtor or list your property online to get a straightforward purchase offer. All you have to do is call us or fill out the form online. We will initiate the whole process you can have a real cash offer in as little as twenty four hours after a scheduled viewing. 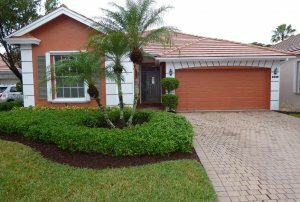 We buy houses in West Palm Beach and across the state of Florida. Choosing Dependable Homebuyers is the simplest way to sell any type of residential property. We buy all kinds of houses. Size does not matter. The architecture, floor plan and layout do not matter. The history of the property or its present condition will not jeopardize the prospect of a sale. You can sell your house directly to us. Express your intent to sell and we will take care of everything else. 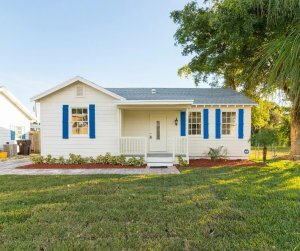 Consider the traditional way of selling a house in West Palm Beach. You will hire a real estate agent. The realtor will require a property inspector to evaluate the house. You must pay the fees charged by the third party property inspection. There may also be an appraisal. The seller should pay for this too. All realtors need houses to be staged before they can be listed online. The staging can cost anywhere from several hundred to a few thousand dollars. Staging is also needed for open houses or scheduled tours for all buyers. It can take days before your property is listed online for sale. It takes longer than a week to find the most suitable real estate agent and for them to get started on promoting the property. Instead of waiting for a week, up to a fortnight to just get the process initiated, you could choose Dependable Homebuyers and be done with the entire sale in such a span of time. Realtors need to look for ordinary buyers. Realtors are not the buyers so they will inevitably depend on the discretion of the people who will be investing. This quest may take weeks. It may take months. It is possible you will wait for three months or longer before you get even one genuinely interested homebuyer. You may have to wait much longer. 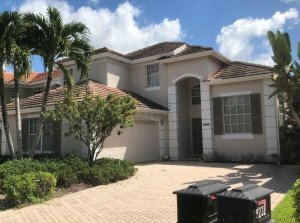 There are property owners who have been unable to sell their houses in West Palm Beach for over a year. 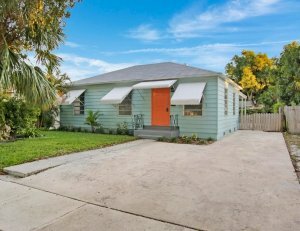 Appointing a real estate agent, relying on listing services and trying to find a buyer is clearly not the simplest way to sell any house in West Palm Beach or anywhere in Florida. The simplest way is to choose Dependable Homebuyers. 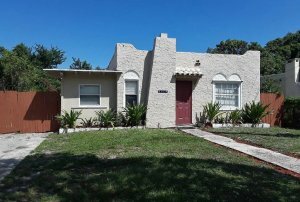 We buy houses in West Palm Beach without the sellers investing in any repair or renovation. There is no need to promote a property, thereby eliminating marketing or advertising expenses. There is no staging, third party property inspection or appraisal, any kind of cosmetic enhancement or structural overhaul. All such processes cost money but they can be totally averted when we buy houses in West Palm Beach. Dependable Homebuyers has a definitive approach to buy houses. There is no ambiguity at any stage. You can call us with the intention of selling your house. We shall schedule a date and time for an inspection. This appointment could be the very next day after your call. It could also be over the weekend. You shall have as much liberty to decide as you would have enjoyed exploring any other avenue. The property inspection including the viewing is a onetime exercise. One of our property experts will visit the house you intend to sell and carry out the evaluation. The evaluation is an extensive report that assesses all the attributes of the house. It also determines the fair price of the property. We have a research team that verifies all information and factors in the market conditions to determine the fair selling price of the house. This becomes the basis of our purchase offer. We will give you a purchase offer in writing within twenty four hours of the inspection. In the most complicated cases, we take up to forty eight hours to present the purchase offer. Whatever are the specifics, you can expect to get a purchase offer from us within forty eight hours from the inspection and viewing. The purchase offer is available to all homeowners whose properties we are interested in. It is a nonobligatory cash offer. No seller pays us anything to get this offer. No seller is compelled to accept it or reject it within any span of time. We do not impose any timeline or deadline. While we are always swift with our proceedings, we provide ample time for homeowners to make up their mind. We want you to make an informed decision. That cannot happen in haste. However, whenever you accept our purchase offer, we can close the deal and complete the entire sale in just a week. We can finance the acquisition and you will have cash in your account within seven business days. We have the fastest modus operandi in the state of Florida while buying residential properties. No realtor or homebuyer can match our standard practice. This does not mean every homeowner has to sell their property to us within a week. We can always schedule the sale. If a homeowner is planning to move out of their present residence in a month, then we can time the sale accordingly. We do not want property owners to feel compelled to move faster than is practical for them, whether it is about the time needed to consider the purchase offer or the need to advance the moving after agreeing to sell. People sell their real estate assets to make a profit. They want a return on their investment. No property owner wants to incur a loss while selling a house. Yet, most homeowners are compelled to spend thousands of dollars just to facilitate the sale. If you think about the traditional way of selling any type of property, then as a seller you are committing to spend at least ten thousand dollars. Let us break that down so you can understand the savings you will secure with Dependable Homebuyers. The very first financial obligation is to clean and de-clutter the house. It is possible to clean and de-clutter without hiring professionals but since staging is essential, many realtors will recommend the experts get the job done. 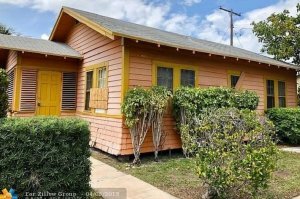 Old houses are hard to stage and the cost can be too dear. Yet, staging is unavoidable if the property has to impress the buyers. The cleaning, de-cluttering and staging can cost several hundred, if not over a thousand dollars. The property inspection and subsequent appraisal would cost a few hundred. These expenses are upfront liabilities. Your property is yet to be listed and you are already a thousand dollars or more in. Realtors will promote your property but you must pay for the campaigns. Online advertisements, sponsored posts and other forms of marketing are accounted for separately. They do not get paid by the realtor out of their commission. Only the multiple listings are included in the service of a realtor. The sponsored listings are not paid for. They have separate costs. Every marketing initiative or promotional campaign incurs additional cost. Even after spending so much money, you are yet to have an interested buyer swing by your house for a quick tour. Realtors will stress on the fact that a house needs some improvement to sell at a better price and to generate enough traction in a shorter span of time. Any kind of home improvement costs money, without any assurance that the investment will speed up the sale or if at all there will be an interested buyer anytime soon. These investments do not always have any return. The asking price may still remain the same by the time negotiations are over. It is quite possible a partial improvement will have no convincing effect on homebuyers. Finally, there are two major costs every seller has to bear. One is the six percent of the selling price as commission to the realtor. The other is the two percent closing cost. Calculate all these costs and other possible expenses. You are easily looking at a consolidated financial obligation of over ten thousand dollars. If you have a pricey property, then the commission and closing cost alone will be twenty thousand dollars or more. The other expenses will make the entire transaction an unfavorable proposition. None of these expenses speed up the sale or enhance the certainty that the property will sell. 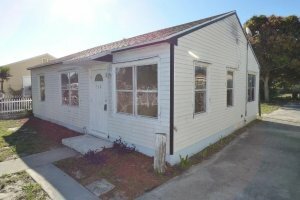 We Buy All Types Of Houses In West Palm Beach! Homeowners pay nothing to us when we buy houses in West Palm Beach, Florida. We also buy all kinds of houses. We do not have any stringent approach that leads to dismissing certain types of residential properties. We do have our criteria but the priority is a fair assessment and not the triad of location, condition and asking price. No location is any deterrence for us as we consider the fairness of value and that does take into account if the neighborhood is popular or not. The condition of a property does influence the assessment. The merits and demerits will be factored in while determining the fair price. However, the condition does not effect our ability to make a cash offer. We are not looking for the most stunning house in West Palm Beach. We will be investing in repairs, renovations and other improvements in any case. 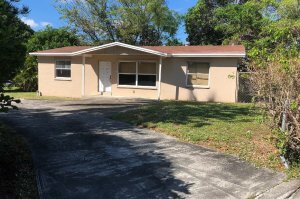 We at Dependable Homebuyers have already purchased various kinds of residential properties in West Palm Beach and across the state of Florida. We have bought hoarder houses so you can imagine the structural issues we accept. We have bought properties facing foreclosure but without any other lien. We are interested in buying houses with flooded basement or properties that have endured serious damage due to weather among other causes. We do not have issues with structural or aesthetic problems. We are a real estate investment company and a property developer. We invest a fair sum of money into every property we acquire so it can be transformed into its best possible version. It is hence futile for a homeowner to spend any money on repair or renovation. As a property owner, you can simply cash in on the value of your real estate asset and let our experts do what they know best. We buy houses in West Palm Beach without any intervention or involvement of any other third party. We do not deal with banks and realtors. We are not serving as a bridge for sellers and buyers. We are not facilitators of any kind. Our company buys properties from owners and we do so in an expedited manner. We have the most transparent and honest system of buying houses in the country right now. It is our endeavor to help homeowners capitalize on the value of their real estate assets so they can conveniently plan ahead.